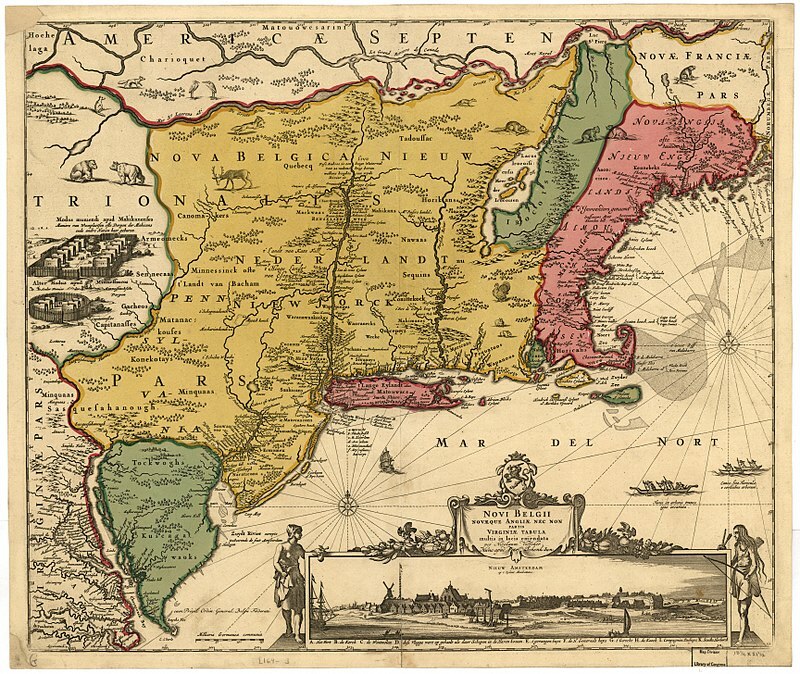 The Jansson-Visscher map of the American Northeast first published by Adriaen van der Donck. Public Domain. Wikipedia. On the fourth episode of A New York Minute In History, we detail Henry Hudson’s exploration of what would become the Empire State and how his journey up the aptly named Hudson River led to the Dutch settlement of New Netherland. Join us as we explore how the Dutch colony differed from its counterparts in New England and Virginia via relative tolerance, a multi-ethnic population and free trade. 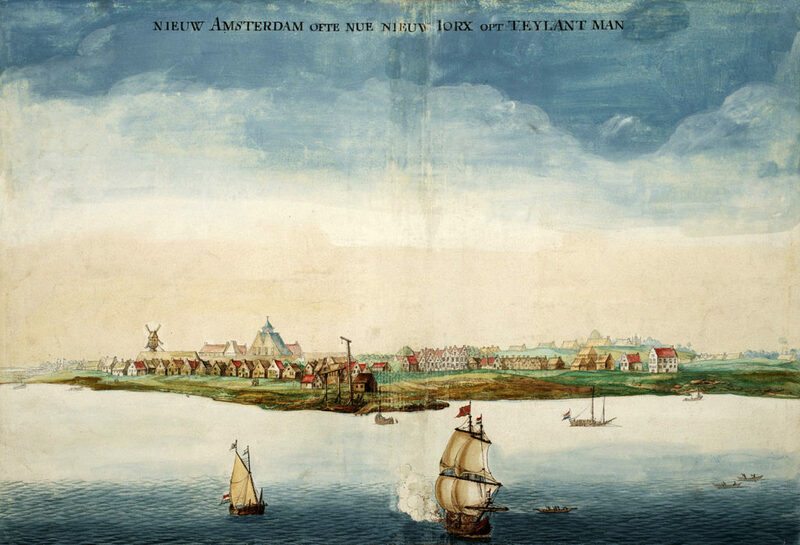 Co-hosts Devin Lander and Don Wildman also detail the impact of Peter Stuyvesant – arguably New Netherland’s most notable citizen – and that of Adriaen van der Donck, a figure largely forgotten by history. 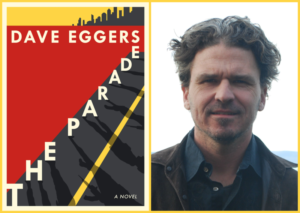 Finally, this episode explains how slavery existed in a society often celebrated for its revolutionary tolerance. 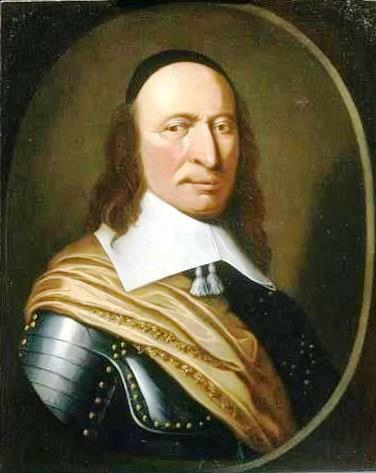 Portrait of Peter Stuyvesant. Attributed to Hendrick Couturier, in the past considered a Rembrandt, circa 1660. Public domain. Wikipedi. Thanks to historian and author Russell Shorto, Dr. Charles Gehring of the New Netherland Institute, Mark Schaming of the New York State Museum, historian Jennifer Tosch and Dolph Hogewoning, Consul General of the Kingdom of the Netherlands in New York, for all of their help with this episode. Music used in Episode 4 of A New York Minute In History includes “When The Boys Come Home” composed by Oley Speaks. Check in with A New York Minute In History on Twitter or email anyminuteinhistory@gmail.com. Adriaen van der Donck: National Gallery of Art, Washington, D.C. 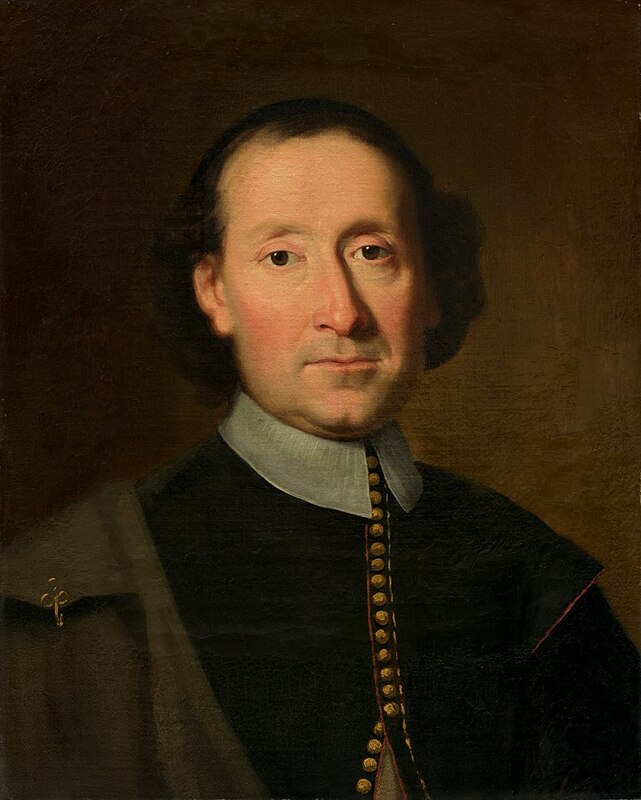 Created between 1618 and 1655. Public Domain. Wikipedia. Support for this podcast comes from The William G. Pomeroy Foundation, which helps people celebrate their community’s history by providing grants for historic markers and plaques. Since 2006, the Foundation has expanded from one to six different signage grant programs, and funded over 700 signs across New York State and beyond … all the way to Alaska! With all these options, there’s never been a better time to apply.